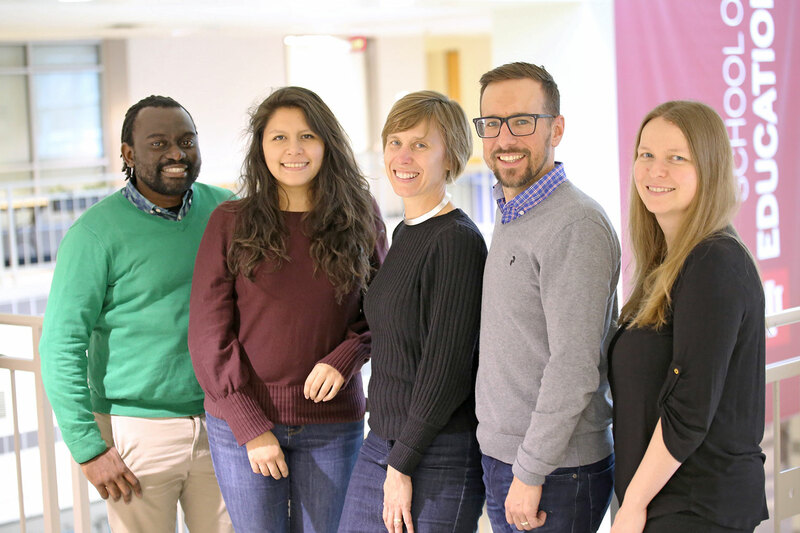 After working remotely for two years, a team led by researchers from the School of Education is spending the semester together in Bloomington, where they’ll continue their project to develop and refine models and methods for measuring educational achievement internationally. The project, funded by the Norwegian Research Council, dives into international assessments, such as the Trends in International Mathematics and Science Study (TIMSS) and the Programme for International Student Assessment (PISA). These assessments measure educational achievement in schools around the world, but the degree to which a single assessment and single measure of the context of students is adequate is questionable. “Our project takes up this problem and examines how well current models perform and what kinds of changes need to be made to validly and reliably measure students in countries around the world,” Leslie Rutkowski, Associate Professor and one of the principal investigators in the project, said. Rutkowski is joined in the project by Associate Professor David Rutkowski, another principal investigator, Associate Professor Dubravka Svetina, Ph.D. student Kondwani Mughogho from the University of Oslo, and post-doctoral researcher Yuan-Ling Liaw.